Photography – it’s all about capturing light in an interesting way. No matter what genre of photography your preference, the basics are the same. Those of you who were brought up using photographic film and manual cameras will no doubt have a good understanding of the ‘dos and don’ts’ of trying to achieve a ‘perfect quality’ image, especially in low light photography. 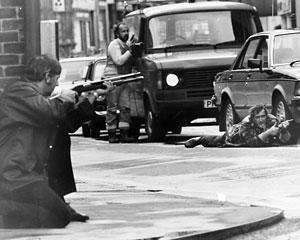 I trained as a photojournalist in the early 80s. The provincial daily newspaper I worked for (in Yorkshire) still shot on medium format film cameras, in black and white only. We developed our own films and printed our own pictures, wrote the captions on a manual typewriter, Sellotaped them to the back of the print and proudly took our ‘news of the day’ pics to the sub-editor, who then decided which was published. Job done. Our photo department had 6 photographers and in addition to the medium format camera that we were each allocated, there was a couple 35mm cameras, reserved for ‘special events’ such as sports photography and royal visits. They were the only cameras that had telephoto lenses. We were trained well. It was a combination of ‘learn on the job’ taught by your peers, plus two intensive NCTJ courses at the UK’s top journalism training college in Sheffield. 13 exams later (and only if you passed them all) you graduated as a qualified ‘Photojournalist’. Happy days. Back in the day, tripods were either heavy and bulky or so lightweight they were just too wobbly to be of use. Monopods were a scarcity. So most press photographers would have plenty of other ways to stop the ‘shakes’. More of that in a moment. Today, tripods and monopods are lightweight and very sturdy, I recommend that you always use one if the light is low. Some professionals would say always use one, full stop. If you really want proof of the difference a tripod can make, then do a comparison test yourself. Blow up the image and you might be surprised at the difference in image quality. In practice, you may find yourself without a tripod (or you just want to travel light) and that beautiful sunny day has turned into a pending storm. The clouds look menacing and you see the shot you want, how do you keep the camera steady? There’s a few tricks that have worked for me in the past. First, look for a fixed object to lean against (tree, wall, car etc) and push your back against it. Then hold the camera with both hands, with elbows tight in against your side. If you have an optical viewfinder, brace the camera against your face. Then, just before you gently and slowly squeeze the shutter (and keep it held down), take a deep breath and let the air out slowly – aiming to keep every part of your body still. Another tip is to turn an everyday object into a tripod, so that you can at least rest you camera on there. Walls, fences, tree branches, cars etc are all good natural tripods. The only problem is getting the right angle once it’s on there. I’ve used pieces of clothing, rags and anything else I could get my hands on to ‘pad it out’ to the right angle to take the shot. Using a self timer (or cable release) greatly helps keep things steady once it’s all lined up. Case Study: I once found myself on a hot news story one late afternoon. A policeman had been shot and there was an armed man hunt taking place not too far away. I grabbed the 35mm camera and long lenses and went to capture the action. Armed police had closed down a village street where the gunman Barry Prudom was holed up. My photographer colleague Martin Oates and I found ourselves right in the middle of it all and were hiding inside an antique shop amazed at what was unfolding outside. Men with guns hiding behind cars, lines of people coming down the street with their hands raised – quite terrifying! We had to get pictures, but the light was very low. I was inside looking out though the glass shopfront window, had no tripod and even with the lens wide open it was half a second exposure. I found an antique vase with a scalloped top and moved it right next to the window. Then with a hope and a prayer started shooting at 1/30th second exposure (the negs would be way under-exposed). I knew I’d have to ‘stew’ the film in the developer to get a reasonable image out and I knew it would be very grainy by doing so. It was a risk worth taking because if the shutter had been any slower the images would have been blurry for sure. Did it work? Yes, my images were used on the front pages of newspapers across the world with the story of the ‘UK’s biggest ever armed manhunt’. Today there are all manner of clever devices to hold your camera steady. Keep a varied selection with you, just in case. Some say that 1/30th sec is about the lowest you can hand hold a camera to avoid camera shake in low light photography. I know from experience that even with my best efforts you should really be looking at using a tripod at 1/250th second or lower. In the days when I shot weddings, anything lower than 1/500th and you were asking for trouble if you didn’t use a tripod (especially for the group line-ups!). It’s also closely related to the focal length or zoom of your lens: the longer the lens, the more your ‘camera shake’ is magnified. So, always select the fastest shutter speed you can, given the type of shot you are taking. Bear in mind that higher shutter speeds mean wider apertures and that means less ‘depth of field’. If you want as much in focus as possible (from front to back), you need to be using a slow shutter speed and small aperture, so that often calls for a camera support of some kind. For those of you still shooting film, ‘push processing’ is something you may never have used in the past, considering it something only professionals use. It’s not complicated and some traditional labs still offer this service for their E6 transparency processing service. It involves processing the film for a little longer than normal in order to ‘bring out’ an underexposed image. Of course, you’ll need to underexpose your images by a fixed and uniform amount and then let the lab know what you’ve done in order for them to develop the film to the correct density. In practice you ‘rate’ the film at a different ISO. For example, a very similar result can be obtained by exposing a 100 ISO transparency film as though it was a 400 ISO film. You just set the camera to ISO 400 and the built-in exposure meter treats all the images as though you are shooting a 400 ISO film. In reality you have underexposed all your pictures by 2 f/stops, so you have to ‘push process’ your film accordingly. This has been common practice for some photographers since Fujifilm ceased production of their popular Fujichrome Provia 400X transparency film. Photographers have little alternative now, as the closest option Fujichrome Provia 100f is 2 f/stops less sensitive. One work-around is to simply use a slower shutter speed (don’t forget the tripod!). Or purchase a lens with a wider aperture (and that can be very expensive!). Or try push processing. There is a small difference in the resulting image quality, but far less than seeing camera shake. Those with digital cameras will have the option to increase the ISO in-camera and while this works well to a degree, the higher the ISO, the ‘dirtier’ the image becomes, so use all ‘traditional’ means first before resorting to this method. I’ve always marvelled at those images that are pin sharp in the foreground and are wonderfully blurred in the background. It’s actually quite hard to achieve in practice unless you have expensive gear. Even todays top phone manufacturers have realised that this ‘professional’ look might become a big selling point for them, so they are building two lenses into their camera phones now: one to shoot the foreground and one to shoot a de-focused background, then digitally merge the two. It’s impressive. The simple rule of thumb is: for the steadiest camera, use the widest aperture you can, which in turn uses the fastest shutter speed for any given light situation. My shooting mode of preference has always been ‘aperture priority’, as in most situations I want to bring the subject out from the background. In low light, even at the widest aperture (e.g. f/2.8), the shutter speed may only be 1/30th second, and that means you could be in trouble unless you really hold the camera still. Additional lighting takes many forms and should always be considered in low light photography, (even for landscape photography). Electronic flash can ‘sharpen up’ the blurriest of photos. Done creatively you can shoot at very slow shutter speeds and then add flash into the exposure to freeze’ the action. The good old-fashioned wedding group shop often had a flash added, even in bright light. This has the benefit of freezing any possible blurring and also brings out the detail in the shadows. Any good wedding photographer would always try to shoot ‘into the light’ as much as possible to avoid too much contrast on the faces. Tip: Use the flash (or another type of supplementary lighting) ‘off’ the camera if possible. Even moving the light source an arms length away from the lens, will give a more pleasing result. If this is not possible, or you don’t have a stand-alone gun, then using the camera’s pop-up flash is often better than nothing. Be careful not to over-light the subject. Fill-flash should be used to the point where it’s almost undetectable. Today’s ‘continuous’ lighting is fantastic for being able to actually see the results before you shoot. This way you may be able to raise the brightness of your subject to enable you to use a higher shutter speed and therefore solve the camera shake issue. To a degree, a ‘fill light’ – using fold-out reflectors – can add extra light to give your image ‘that little extra’ to allow a slightly faster shutter. But why in landscape photography? Surely the subject is too far away? A good landscape should have ‘depth’ and that might mean that your work of art is ‘framed’ by tree branches in the foreground. Rather than them being a totally back silhouette, you may wish to enhance the image by putting some detail into them with a touch of fill light. Nice. In the studio, a photographer may bring the lights closer to the subject. The closer the light the ‘brighter’ it becomes on the subject and therefore the problem of low right is reduced. For natural light portraiture, fabulous results can be obtained by bringing the subject close to a window. The closer to the light source the brighter the light and therefore any issues associated with low light are decreased. In this case, also adding reflectors or other supplementary lighting can also greatly enhance the quality of the image. Be careful not to ‘over light’ the subject with secondary lighting as it can dominate any natural light effects. In very low light photography situations, auto focus lenses can take on a mind of their own. It’s always safest to manually focus an image and that’s another thing not to have to worry about. In fact if you are aiming for a shallow depth of field, alway manually focus the lens, especially if shooting portraiture. There’s a big difference between the eyes being pin sharp or the tip of the nose. Don’t leave it to chance, especially if the shot you really want is there in front of you, right now, and can’t be taken again easily. Take a few different shots, trying slightly different techniques to try and achieve the best shot possible. Sunsets can look amazing, but they come and go so quickly. Use bracketing, different aperture and shutter speed combinations, filters etc and hopefully the ‘perfect’ shot will be among them! I hope this blog on low light photography tips has given you some food for thought as the shorter days are drawing near. I’m sure many of you will already be using some or all of these methods, but next time you are faced with less than perfect lighting, maybe your best photo ever is now within reach, when before your camera would have been kept in its bag. If you do still shoot film, or wish to have a go for the first time, we are often asked which film is best for low lighting? Today there is less choice; you used to be able to buy very fast films over 1000 ISO, but demand became so low that manufacturers have reduced the speeds that they offer. Take a look at the ranges from Fujifilm, Kodak, Ilford and Agfa at www.photouk.co.uk and aim for those with speeds of higher than 100 ISO. Unfortunately 100 ISO is now the fastest speed film available if you wish to shoot transparencies (slides). Fujichrome Provia 100f is probably the most suitable transparency film for low lighting. And don’t forget it can be push-processed by up to 2 f/stops by the processing laboratory (essentially giving you a 400 ISO film). What is the future of Fujifilm Slide Film? ?